The Saudi Arabia and United Arab Emirates announced on Monday a $200 million donation to support urgent humanitarian needs of Yemeni people during the Holy Month of Ramadan. Having been leading a coalition in support of legitimate government in Yemen, the two Gulf states said the funds were aimed at alleviating Yemenis' suffering and meeting the food, nutrition, health livelihood needs over the coming weeks. The two countries have allocated 140 million of the grant for the provision of urgent food needs through the WFP, 40 million for severe malnutrition through UNICEF, and 20 million for fighting cholera through WHO, the KSRelief General Supervisor Abdullah al-Rabeea and UAE Minister of State for International Cooperation Reem al-Hashimy told reporters in Riyadh. The KSA and UAE are committed to supporting the Yemeni people in all provinces to ensure welfare, said the officials noting that this initiative was in addition to their countries' $1 billion pledges and the Kuwaiti $250 million pledge announced at the Geneva donor conference last February. The coalition states are seeking to end Yemenis' suffering resulted from "Houthi militias' non-respect of Stockholm Agreement .. and exploitation of humanitarian crisis," said Rabeea. The conflict escalated after a Saudi-led coalition intervened militarily in the country in March 2015 to reinstate the government of President Hadi, triggering whatthe UN calls the world's worst humanitarian crisis,with most of the population in need for a type of humanitarian aid and immediate protection, including 14 million people risking famine and some 1.8 million children suffering malnutrition. 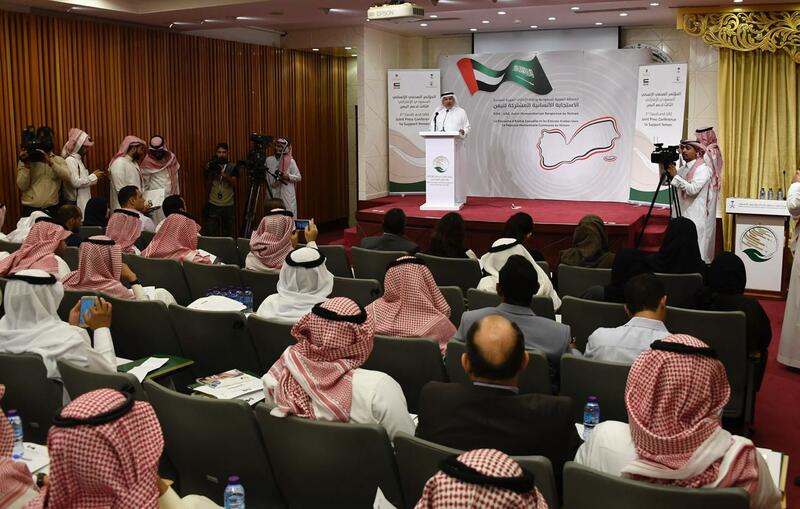 At Riyadh news conference, the Emirati minister said large portion of this support would focus on women, blaming Houthi "militias for obstacles that block humanitarian aid from reaching those who deserve them." "We will work with UN agencies to deliver aids to all parts in Yemen, and we want to start infrastructure reconstruction and economy enhancement in Yemen," she added.